All the features of course not available in free edition but the free edition is enough powerful tool in conjunction with other illustration and graphical tools such as Adobe Illustrator, Adobe Photoshop. 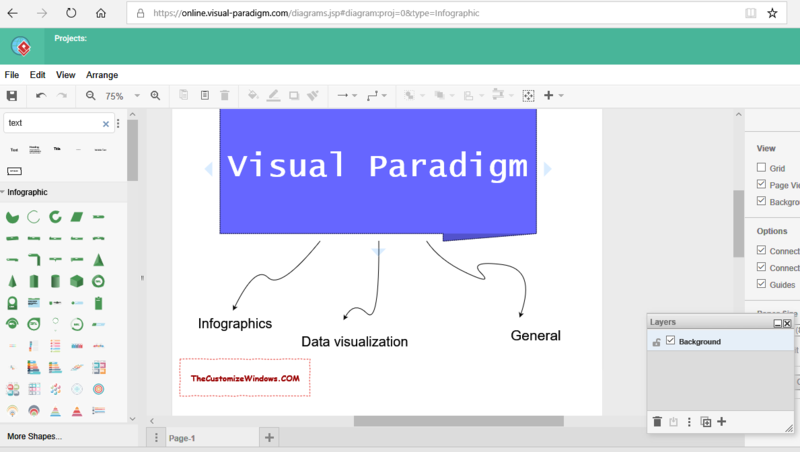 Visual Paradigm is really useful to the peoples who need another free tool for graphical representation. More than raster and vector tools, we do need systems to speed-up and simplify works. Visual Paradigm supports 14 types of diagrams and supports layers. Among Software Design, it provides UML diagrams, ER diagram, data flow diagram. For Flowchart, it supports 4 types of diagram. For Business Design, it supports BPMN, ArchiMate. For Strategic Analysis, it supports 7 types. For Cloud Architecture Design, it supports AWS, Azure, Google Cloud Platform, IBM Cloud, Oracle, Tencent. For Engineering, it supports representation of logic, basic electrical, circuit, wiring. For Organizational works it supports family tree, Genogram, Kinship. It supports UX Design of iOS and Android. It also has support to Floor Plan, Mind Mapping, Infographic, Network Design, Project Management and General Purpose diagrams. This Article Has Been Shared 7938 Times! You probably have thought about protecting your images or text from copying. The first thing that comes to mind is to block the right click. Transmission Control Protocol or TCP is a protocol about the ways in which data is exchanged between computers. All operating systems understand TCP to use it. Cite this article as: Abhishek Ghosh, "Visual Paradigm : A Tool to Create Illustration of Different Things," in The Customize Windows, March 22, 2019, April 18, 2019, https://thecustomizewindows.com/2019/03/visual-paradigm-a-tool-to-create-illustration-of-different-things/.